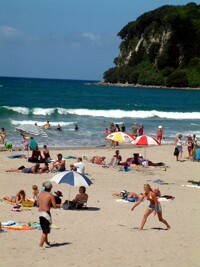 Famous for its unique combination of beach and rainforest, Whangamata's amazing ocean beach provides some of the best surfing breaks, yet safest swimming in the country. Big game fishing can also be found further off the coast. 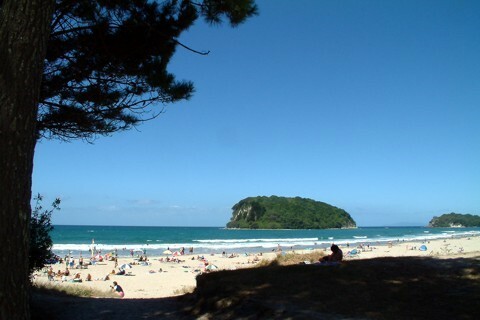 The Coromandel Forest Park and Tairua Forest bordering the town provide many outdoor experiences, including short walks, mountain bike trails and old gold mining sites. 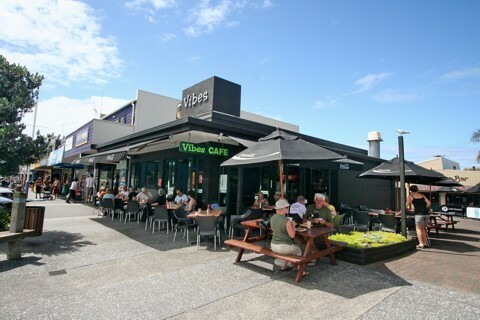 Whangamata also has one of the best shopping centres in the region, a unique café culture and a range of sporting facilities from golf (9 & 18 hole courses) to a swimming pool that is the envy of many nearby communities. 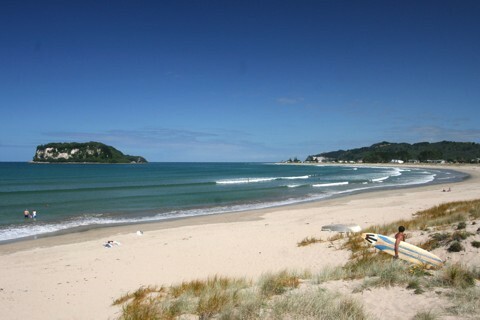 A number of the houses in the area are holiday homes - providing weekend refuge and the classic kiwi beach holiday. This is just a small sample of the activities available all within five minutes of Breakers Motel. Contact us if you would like Breakers to organise any activities for you, or if you have any questions. 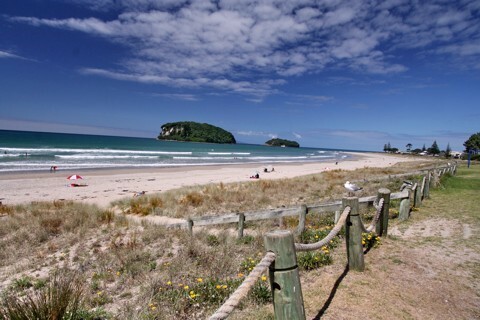 Golfing: There are two golf courses in Whangamata, a nine hole course at Williamson park, and an 18 hole course, Titoki on the way out of town towards Waihi. Both courses have hire clubs. 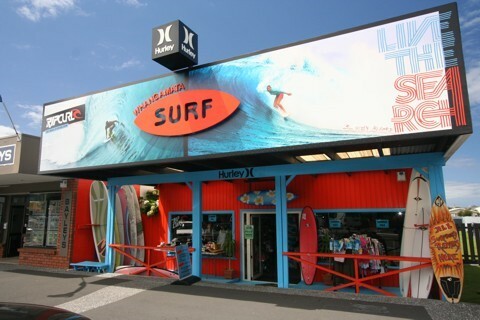 Surfing: Whangamata is well known for it's 'bar', at the harbour entrance, where many nationally renown surfers have begun their careers. 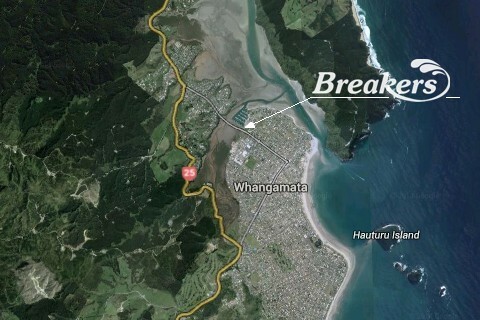 There is also a beach break, and you can catch waves at the estuary end of the beach. Board hire is available from the surf shops, or the board makers in town. Windsurfing: You can hire windsurfers and get lessons for two hours either side of high tide down by the ski lane in the harbour. The harbour is ideal for windsurfing. Bush Walks: There are numerous bush walks available, from Wentworth Valley for a picnic and swim in the clear cool waters, to the Luck at Last Goldmine, where you can explore old mine workings - don't forget a torch. Again, check out the Information Centre for details. 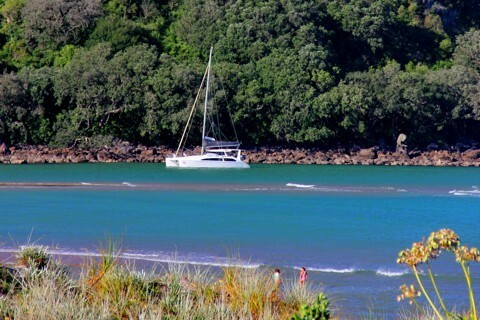 Deep Sea Fishing / Diving: There are many charter boats in Whangamata to take you out fishing or diving - check at reception for details. 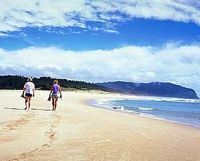 Or plan ahead and get Breakers to organise a trip for you. Tennis / Squash: There is a squash / tennis club in Whangamata, which has keys available for public use. Lying on the Beach: Over 10 kilometres of beautiful white sand to lie on all day in search of that perfect tan. 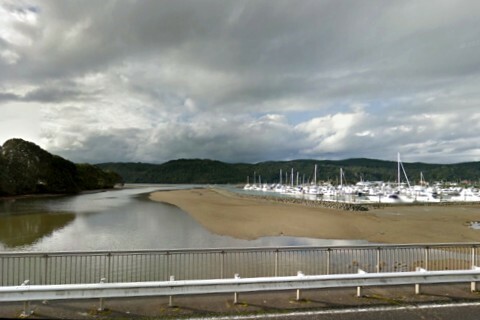 From the busy surf club area, to the not so busy Estuary end (great for families). A great way to spend the day after a 'Seagull Breakfast'. Opoutere - popular for swimming and surfing, this spectacular white sand, 5km beach is protected from development by an afforested reserve. 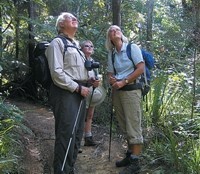 Wharekawa Harbour is known for bush walking and bird watching. 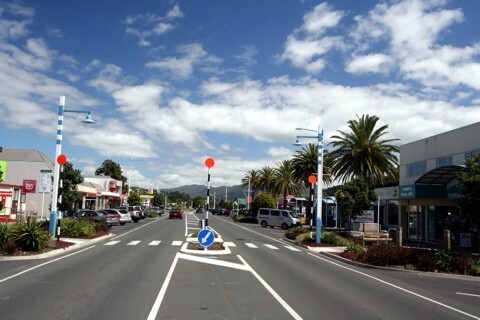 Mountain Biking – The Whangamata Information Centre provides information and permits for bush walks, mountain bike trails and other activities in the Pine Forest located 3km north of town on State Highway 25. Luck at Last Mine - a well sign posted track in the forest provides a scenic one hour walk to old gold mine ruins. An alternative track to Pritchard's Kauri in virgin bush is 4km further on the Forestry Rd. 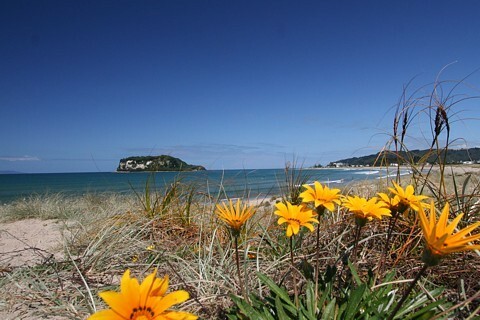 Whangamata Craft Trail - gifted local artisans can be visited using a brochure available from the Information Centre. 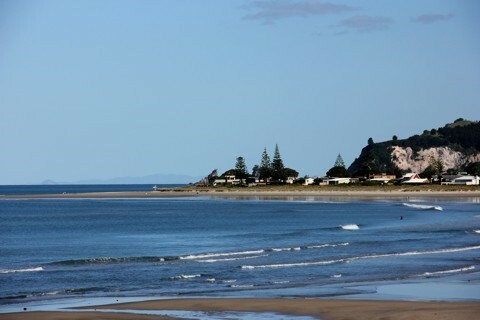 Onemana - a popular surfcasting beach that offers exceptional views from the southern hilltop. arrow Tuhua (Mayor) Island - famous waters for big game fishing 30km off the coast, that can be reached by one of the local charter boats. 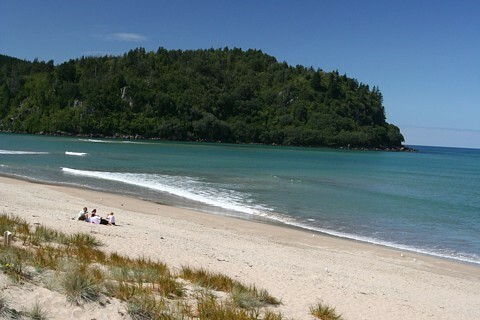 Whiritoa - exposed and often rough, this beach does have a tidal lagoon that offers safe swimming. Wentworth Valley - offering a 30 min Old Mines walk, a two hour walk to the waterfalls and a five hour walk, Maratoto- Wentworth.